FlickGIF is a software that allows you to create GIFs cut from video or image. You can add text or image, sticker or zoom it, etc. The GIF can also be made in black & white, played in reverse and many other functions. FlickGIF also offers advanced tools for you to render HD video format and traditional GIF format used on social media. This GIF-making software can do all of them. FlickGIF enables you to make animated GIF from images or video. These GIFs can be used to advertise or go viral for your products. This has been a new way of creating viral content that is much more effective than many other traditional ways. The impulse to share an interesting GIF is incredibly strong, which is beneficial when getting attention is becoming harder and harder. FlickGIF’s results can be used on many social media such as Facebook, Tumblr or Twitter…which has a huge number of users around the world. 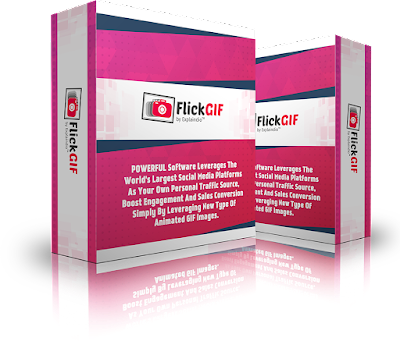 FlickGIF provides you lots of advanced features to make a perfect GIF such as ken Burn, Pan & Zoom, Adding SWF sticker on the GIF, etc….These tools make the GIF become fascinating and lively. To promote your products, you can tell a story and then add an eye-catching funny animated GIF to make it more interesting and engaging. This can reinforce the conversion rate, make people recognize your products better and faster. FlickGIF is designed primarily for newbies, which means it consists of simple steps create a complete GIF. Anyone can make a whole new GIF with this fantastic tool. Quote: FlickGIF is a unique GIF maker with many high-class features which you may never see before. FlickGIF allows you to generate GIFs from set of images or video. The special feature here is that it allows adding text, image, effect, pan and zoom and animated flash sticker to GIFs. You can make a GIF in black and white, flip it, play in reverse, and even bounce animation playback back and forth instead of a loop.